If you’re shopping for a diamond engagement ring, you’ve probably heard about diamond fluorescence, along with varying opinions about its pros and cons. Let’s dig into a few common myths about fluorescence and D-to-Z color diamonds. FACT: The majority of diamonds do not fluoresce. 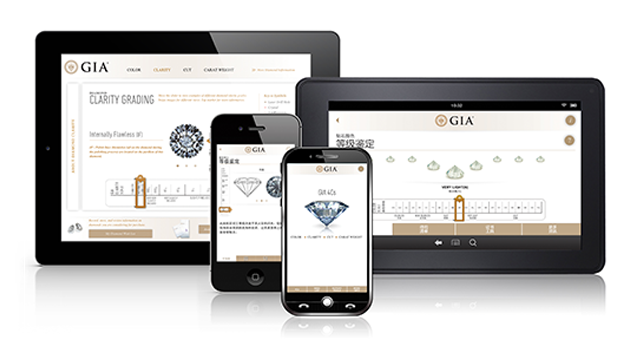 In a study of more than 26,000 diamonds submitted for grading to GIA, researchers found that only approximately 25% to 35% of them exhibited some degree of diamond fluorescence when examined with a standard long-wave UV lamp. So, it’s likely that the diamond you’re eyeing does not fluoresce. FACT: Diamonds that fluoresce only do so when they are exposed to invisible UV rays and other higher energy radiation sources such as X-rays and lasers. You might see your diamond fluoresce under a bright sun, in a tanning bed, at a dance club or in other places where strong fluorescent or black lights are used. But once the light source is removed, the diamond will stop fluorescing. Incandescent lighting will not cause a diamond to fluoresce. 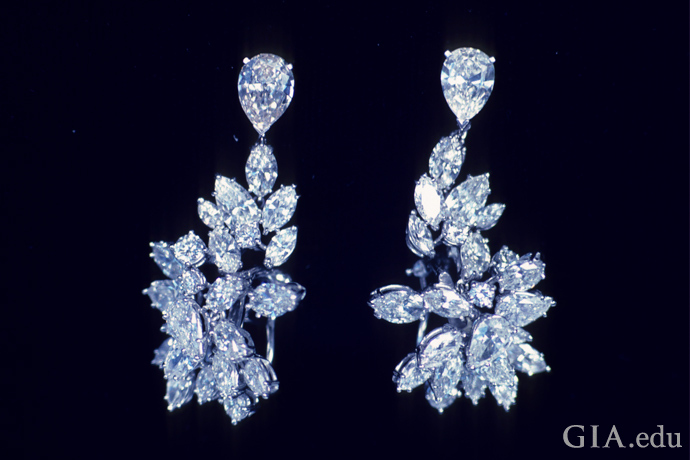 FACT: Diamond fluorescence cannot always be detected. You need conditions where UV rays are present and the intensity of the fluorescence is strong enough to be observed. 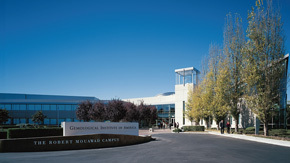 A reputable grading laboratory, like GIA, follows strict protocols to determine the presence of fluorescence. It also adheres to set standards in describing its intensity, to ensure objective and consistent reporting. FACT: In assigning a diamond color grade, GIA examines the gem in a highly controlled viewing environment, designed to minimize the influence of fluorescence and to produce an accurate and objective assessment of the diamond’s color. However, the way you perceive a diamond’s color grade may be affected by the extent to which it fluoresces – in a positive way. In a diamond lower on the GIA D-to-Z color scale (say, I to N) with a yellow tint, moderate-to-strong blue fluorescence may cancel out some of the yellow for a better color appearance than what its color grade would indicate. See Myth #7. FACT: Diamond fluorescence is not one of the 4Cs – like color, clarity, cut and carat weight – which describe the quality of a diamond. GIA considers fluorescence an identifying characteristic – additional information that helps distinguish one diamond from another. GIA diamond grading reports describe the intensity of fluorescence as None, Faint, Medium, Strong and Very Strong. If the fluorescence is Medium, Strong or Very Strong, the color of the fluorescence will be noted on the grading report. FACT: Diamonds can fluoresce in a variety of colors. These include orangy yellow, yellow, orange, red, white and green. Variations in the atomic structure, such as the number of nitrogen atoms present, cause the phenomenon. 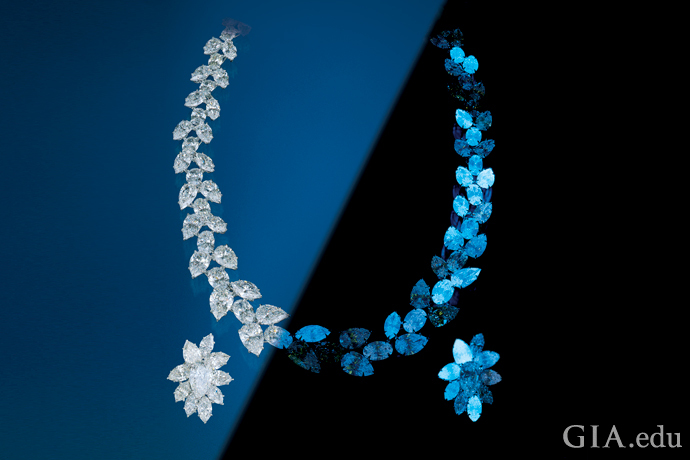 Blue, however, is by far the most common color of diamond fluorescence. 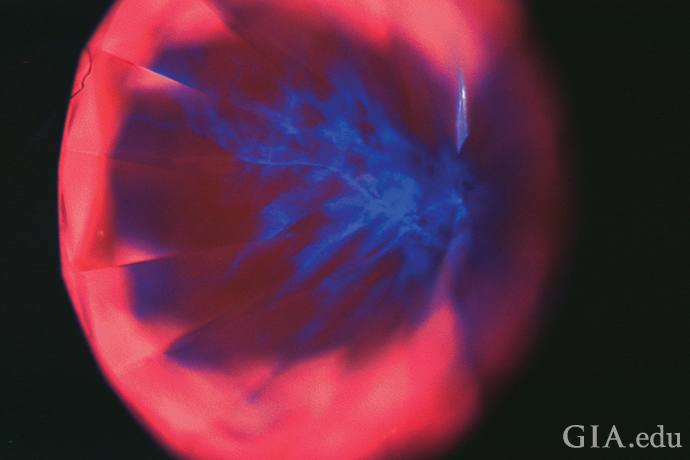 FACT: GIA studied the influence of blue fluorescence on the appearance of a diamond under normal viewing conditions. The Institute found that average observers (meant to represent the jewelry buying public) could not consistently discriminate any fluorescence-related effects in the viewing environments most similar to those in which jewelry is purchased and worn. 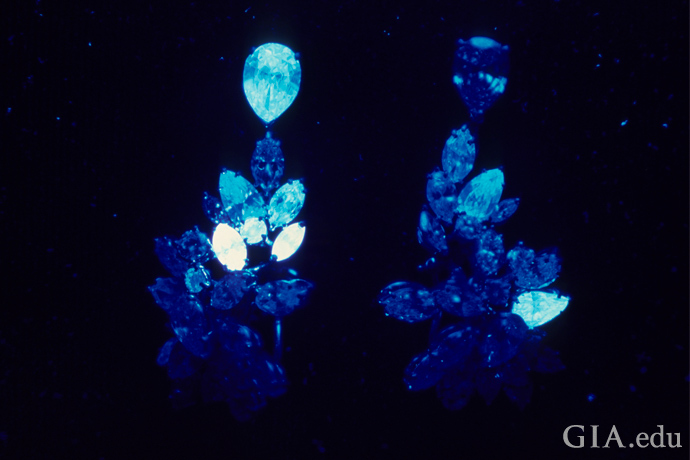 However, GIA also found that strong blue diamond fluorescence could be beneficial. The results of its study revealed that, as noted for Myth #4, some strongly blue fluorescent diamonds were perceived to have a better color appearance than their color grade would suggest when viewed table-up, with no discernible trend table-down. FACT: Diamond fluorescence has little to no effect on a diamond’s sparkle, and research shows that it doesn’t impact beauty either. A diamond’s sparkle is determined primarily by its cut, not by whether the diamond fluoresces or not. 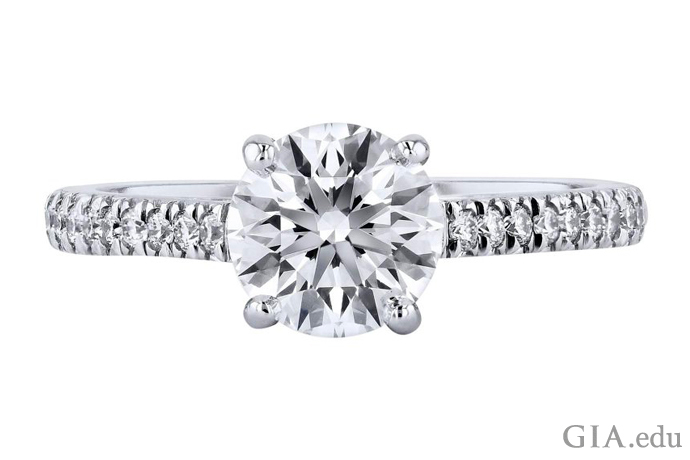 A diamond’s cut – that is, the angles and relative measurements of its facets, as well as its other proportions, design and craftsmanship – determines how well light performs when it strikes the diamond and how well it will sparkle. FACT: Absolutely not. The presence or absence of fluorescence should not be used as a DIY test to determine if your diamond is real. First, not all natural diamonds fluoresce under the standard UV lamp used by gemologists (see Myth #1). Second, some synthetic or lab grown diamonds do fluoresce to these wavelengths. 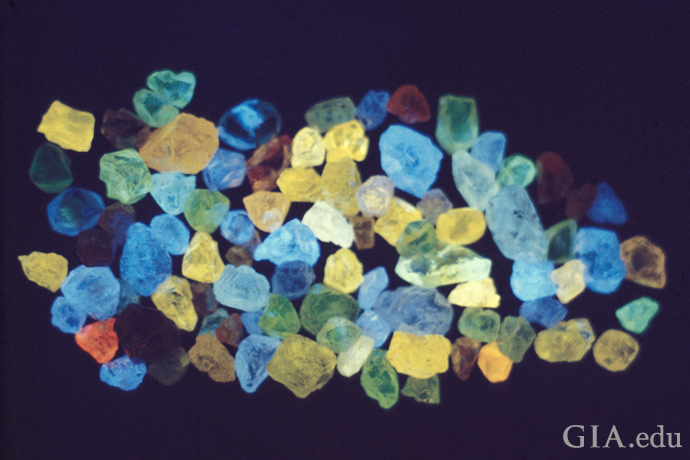 Although differences have been noted in the intensity, color and pattern of fluorescence between natural and synthetic diamonds, there is overlap. Finally, some materials used to impersonate diamond – like cubic zirconia – can display fluorescence. FACT: A diamond that fluoresces under a standard UV lamp has the same structural integrity as one with no reaction to it. Nothing in the submicroscopic structures that cause fluorescence inherently weakens the diamond. FACT: Jewelry professionals disagree about whether fluorescence adds to or detracts from the value of a diamond. 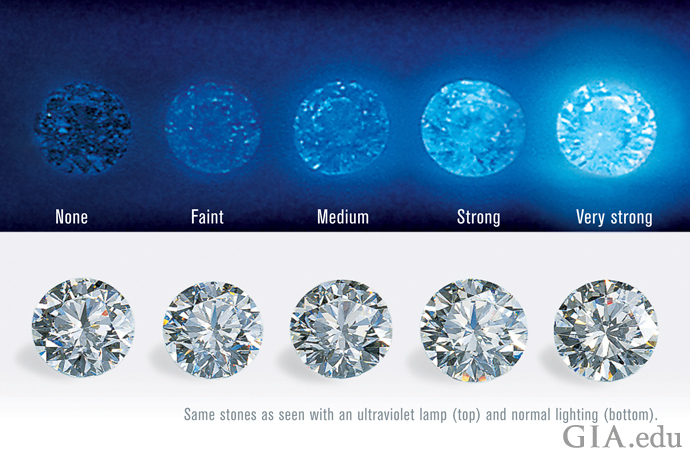 Some trade professionals believe those very rare diamonds at the high end of the D-to-Z color scale that have extremely strong blue fluorescence are worth less than their nonfluorescent counterparts because the fluorescence can affect their transparency by giving them a hazy or milky appearance. Conversely, some traders pay higher prices for blue-fluorescing diamonds of a lower color grade because, as noted above, they believe the fluorescence masks the faint to very light yellow color of these diamonds. Diamond fluorescence and its effect on value is not a simple question, and there isn’t a simple answer. 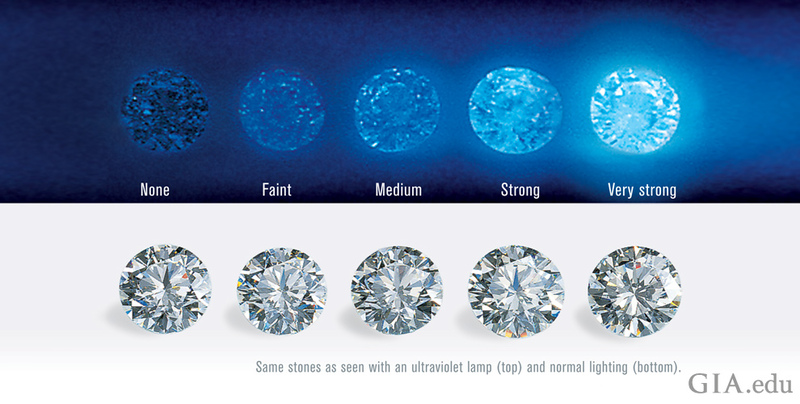 We recommend that you compare diamonds in a variety of lighting environments and choose the stone that you like best. 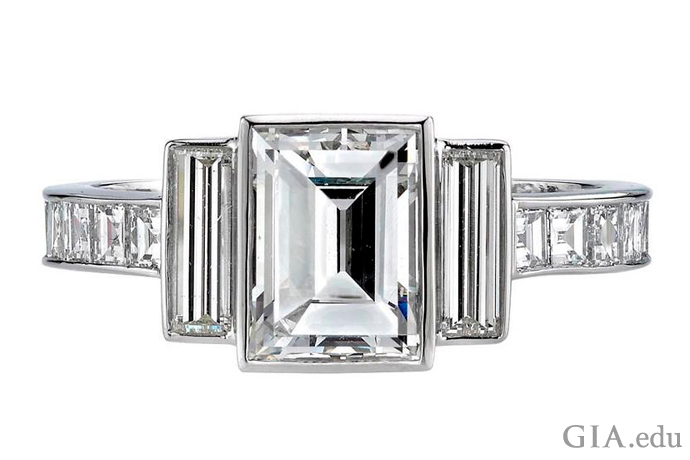 Ultimately, GIA believes the beauty of a diamond is truly in the eye of the beholder. Is there a diamond fluorescence “fact” you’d like to verify? Leave us a comment below. 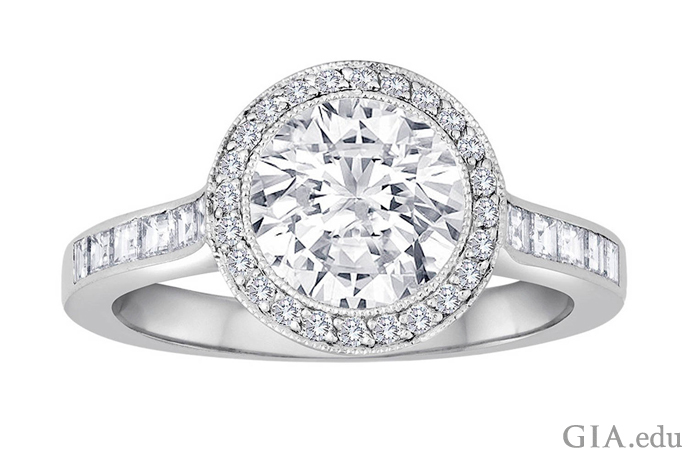 In the meantime, if you enjoyed this post, you might like reading about common engagement ring myths.